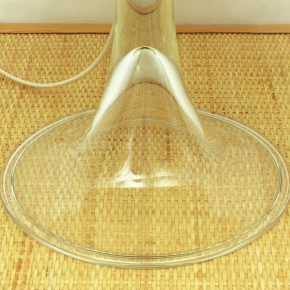 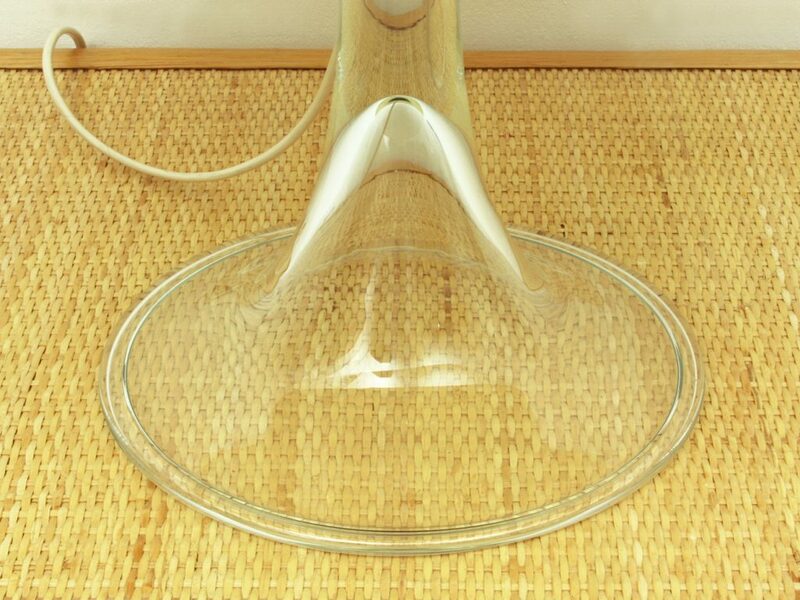 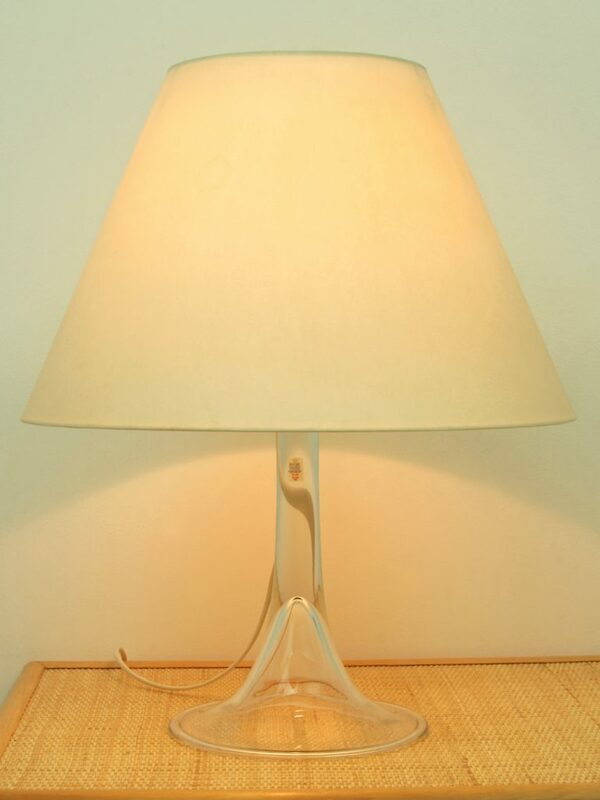 Beautiful glass and fabric desk lamp. 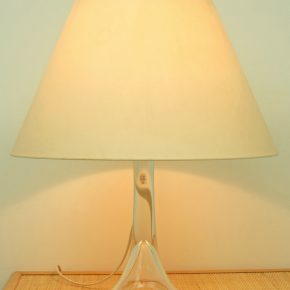 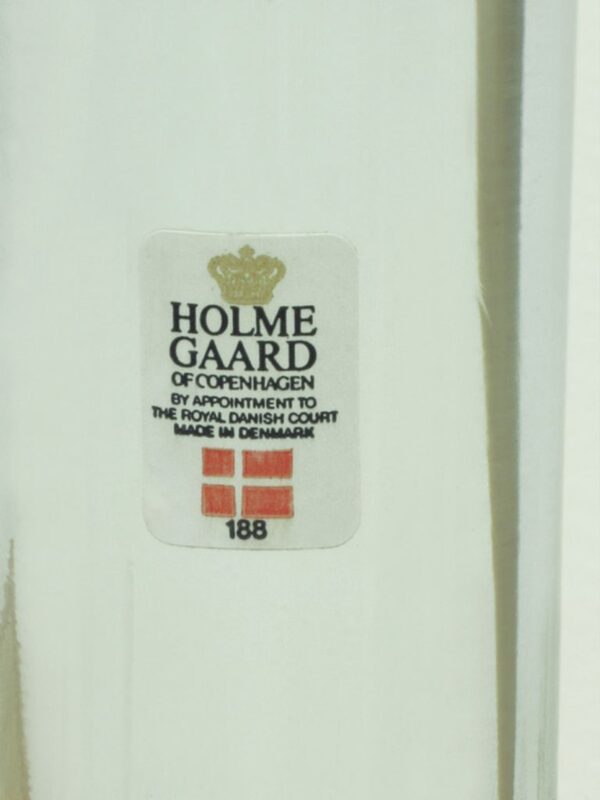 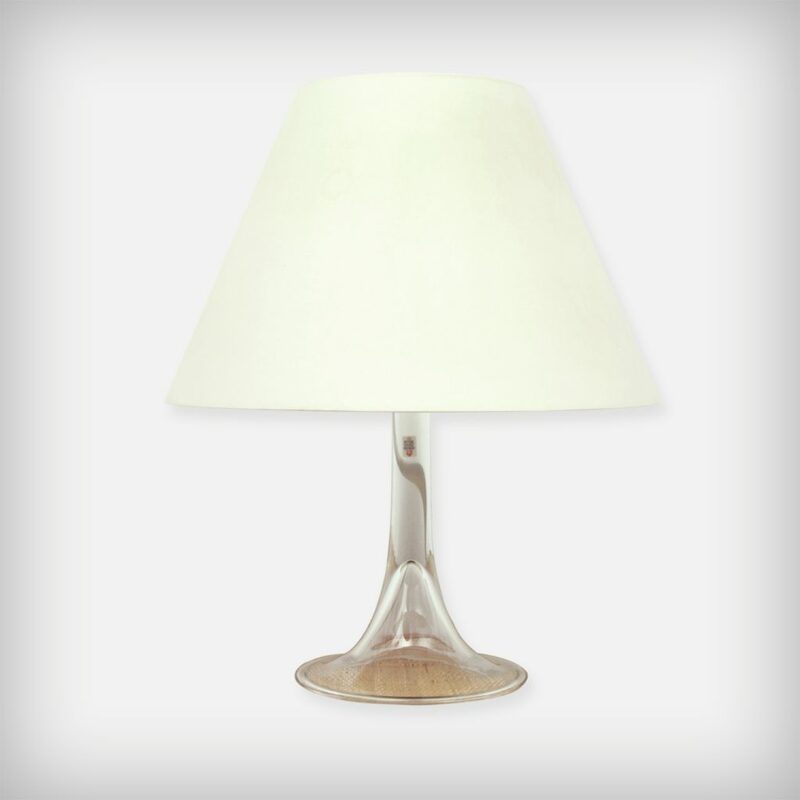 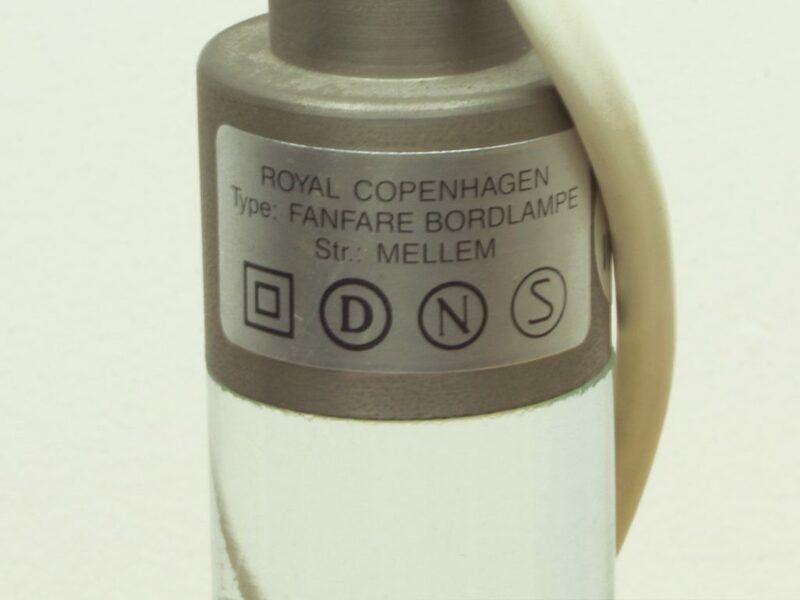 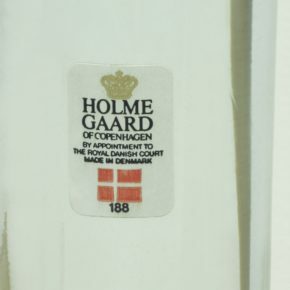 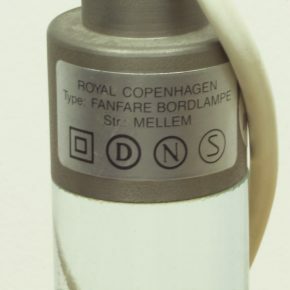 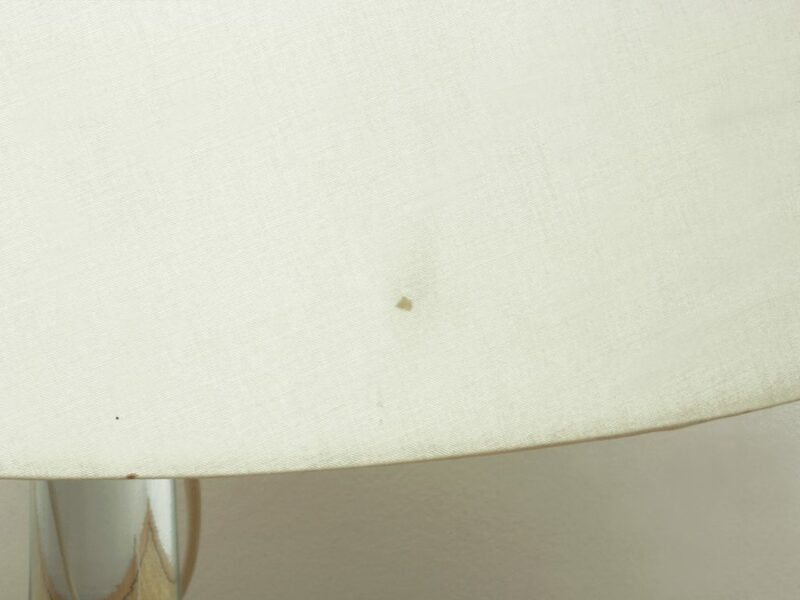 Model 'Fanfare Bordlamp'. 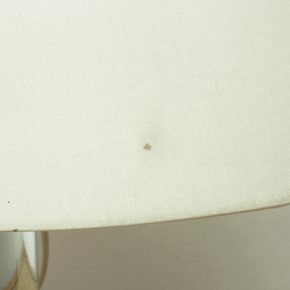 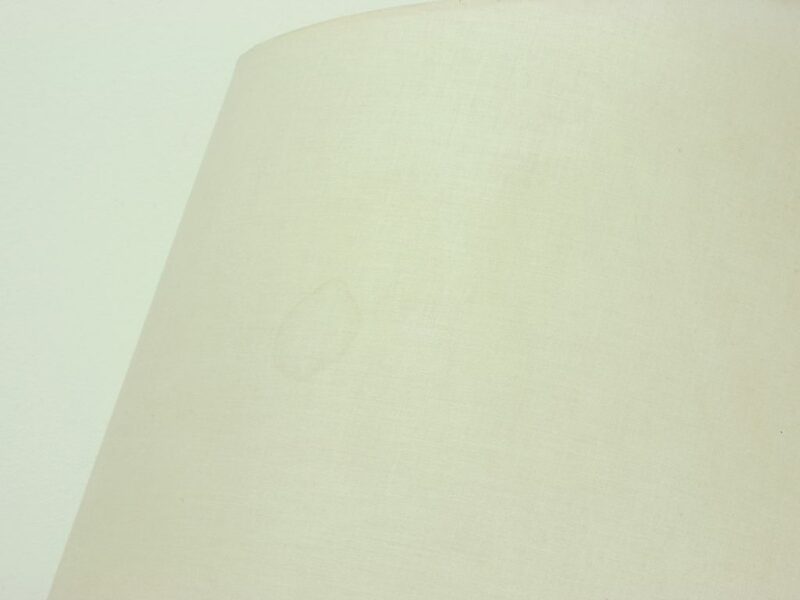 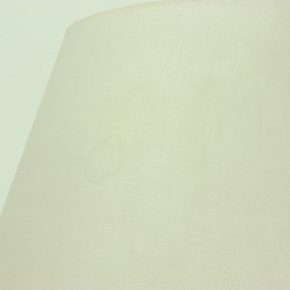 The fabric shade has some stains as you can see in the pictures.